The Sackler family and Purdue Pharma’s Project Tango looked into how to profit off opioid addiction treatment. In its defense, the family argued to the Times that the lawsuits “ignore the fact that the Sackler family has long been committed to initiatives that prevent abuse and addiction,” citing as one example donations to an addiction research and treatment center in Tulsa, Oklahoma. But as the Times reported, this $75 million contribution is only happening as part of a recent settlement with Oklahoma in another opioid epidemic lawsuit— essentially, the Sacklers are trying to take credit for what they were forced to do. It’s the first wave that really kicked off the opioid crisis — and it’s where marketing for opioid painkillers is likely most relevant. 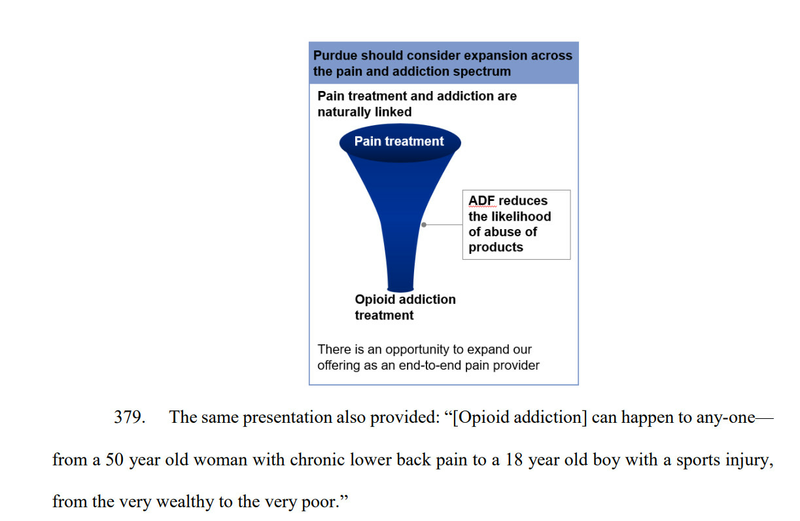 Multiple studieshave now linked marketing for opioid painkillers to addiction and overdoses, particularly direct marketing to doctors that encouraged them to prescribe more of the drugs. And another study linked an increase in the supply of opioid painkillers to more overdose deaths.